Event chairs Sila Grogan and Linda Jenkins, and honorary event chair Mary Blake Meadows, invite you to join what will surely be a fun evening filled with all the best things: girlfriends, drinks, food, games, and designer handbags! Tickets and VIP Tables will go fast so scroll to the bottom of this page to begin purchasing yours (you will enter credit card information on the next page). Purchase yours today to reserve your spot. If you are interested in sponsorship opportunities or would like to purchase your tickets by phone, please contact Sarah Carroll at 214.303.2120 or scarroll@CitySquare.org. 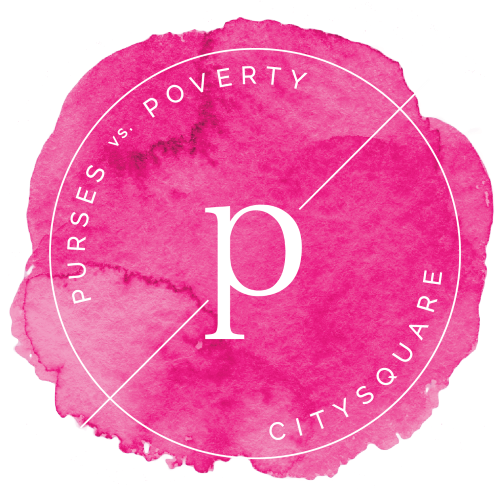 Click here for additional Purses vs. Poverty sponsorship opportunities. "Single ticket" tickets cost $250.00, of which $200.00 is tax deductible. "VIP Table" tickets cost $2,000.00, of which $1,700.00 is tax deductible.